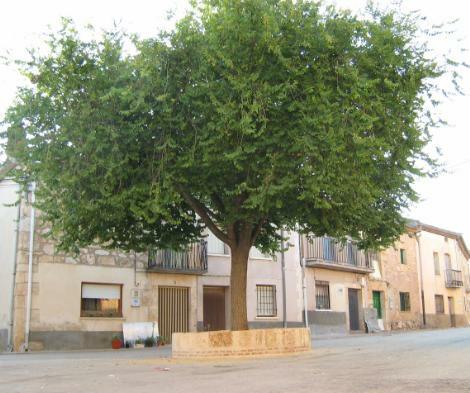 Piquera De San Esteban is a small town located in the municipality of San Esteban De Gormaz, in the province of Soria, that belongs to the Spanish autonomous community of Castile and León. Neighboring towns are Torremocha de Ayllón and Torraño (belonging to the ancient Community of Villa y Tierra whose's capital is the Segovian town of Ayllón) and Peñalba de San Esteban, Atauta, Morcuera and Fuentecambrón (that were assigned, just as Piquera, to Tierra headed by the town of San Esteban De Gormaz). All these towns belong at present to San Esteban De Gormaz's town hall, with the exception of Fuentecambrón, head of another municipality which also includes Cenegro. Inside Piquera's city limits, there is part of the ancient territorial jurisdiction of a town named Santuy, which has not been inhabited for several centuries. There are indications that allow us to speculate that the origins of this town are very ancient. At present, only ruins and historical documents remain in certain files needing deep study and exhaustive analysis from experts in these topics. Also during the XIVth century, one of the first famous writers of the Castilian or Spanish language, Don Juan Manuel, walked the land. Though his reputation does not owe to this book, it is necessary to point out that he wrote one of the first hunting treatises, The Book Of Hunting, in which he recreates the medieval art of hunting, falconry (hunting with falcons and other birds of prey). This book also mentions the river that runs near Piquera, Pedro River, then called Bierbol. 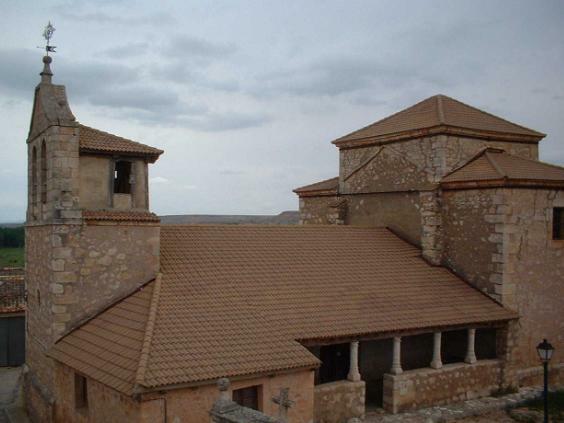 In the following century, in the year of 1429, the Queen consort of Aragon tried to mediate between her husband and her brother, King Juan II of Castile and León, encamped in Piquera. The Castilian king was accompanied by his strong and educated court, among them, the famous writer who later became known as the Marquis of Santillana.  Moving forward to the XXth century, Piquera's own, Faustino Rupérez, the famous cyclist champion of Spain in 1979 and winner of La Vuelta in 1980 has made Piquera's name now known all over the world. We are talking about an inhabited core that goes back in its origins to the Middle Ages (more precisely, during the time of Christian repopulation of the territories that were taken from the Muslims); perhaps its origins are more ancient (and the medieval repopulation would have taken place on some core that existed previously). 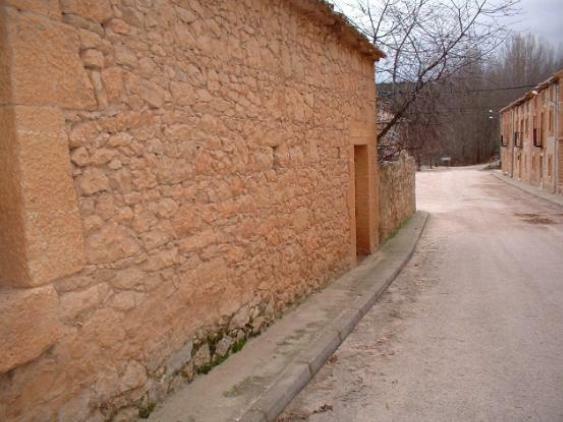 In the area near the church one can see narrow streets that suggest its medieval origin. It is the so called borough of The Bells; not long afterwards, or possibly at the same time, a short distance away but independently, another borough would form, known now as Lower Quarter. Later, with an increase in population and the need for expansion, two small nuclei join with wider streets. It is in the surroundings of this Lower Quarter, since it is larger, one can appreciate in its buildings the evolution of an archaic agricultural economy to another where the harvests transform by means of the mill and the wine presses. Saint John The Evangelist Church has its origins in the time period of the artistic style known as Romanesque (XIth - XIIIth centuries). The building we can see nowadays was constructed at the end of the XVIIIth century and the beginning of the XIXth century. The existing building then was probably too small and perhaps in need of repairs, was used to build upon, ending with a notably larger church than any of the neighboring towns' churches. For many years it provided water for household use and farm animals drank from it. Before this fountain was built in 1916 the neighbors had to get water from the river or from the creek close to the town. Old tales can always be gathered around a town's fountain, such as the courtship of the young boys to the young girls in the only moments in which the customs of those times allowed them to go out of house to gather water in their clay pitchers, or sometimes, pranks that were played almost exclusively upon strangers, by throwing them into the fountain for a consequent drenching, not advised during the winter months. Handball has always been a very popular sport in the northern part of Spain, much more so before soccer became the most popular national sport. Handball was played in towns against the wall of a building of sufficient height and width; it was usual for this building to be the church. 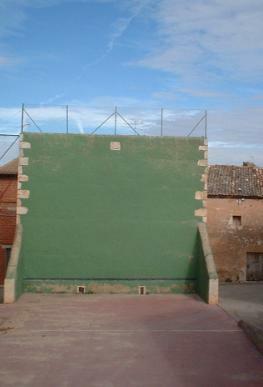 Later on, if the town was wealthy enough, a few walls were built exclusively to practice this game; and this is the way frontón walls came to be. This frontón built in 1929 cost 1000 pesetas that were paid to a few bricklayers who came from the nearby town of Peñalba. Aside from that cost, the building materials had to be paid by the neighbors of Piquera. Later on, there have been repair and updating works made to the handball court. The grand opening of this handball court was carried out one day, after mass, by the parish priest and town mayor playing themselves, thinking that it was the first game played in this court, not knowing that in fact it had been already used by some young boys when the plastering of the wall was still fresh. It seems that the impact of the ball can be seen in some areas of the wall in the plastering. This court is known in both the town and neighboring towns as the Juego Pelota (Ball Game). I do not know whether to consider it to be a representative symbol of a town, a sheltering being to the people of Piquera, a point of reference to collective celebrations, or simply a tree needing protection from the aggressions of civilization. I believe that there is a bit, or a lot, of all said previously in this paragraph. It is planted on the same spot in which another elm had stood, but after hundreds of years of life it dried up. We do not know whether it was due to its age or the innumerable aggressions suffered during its long life, the last and more serious when the works of household supply of water took place. In any case, the elm tree in the town's square was missed by all and after several frustrated attempts to grow a new tree, this one rooted by means if not magical at least a bit picturesque. Half a bushel of barley dipped in wine was dumped in the bottom of the planting hole and on this concoction the elm tree stood firm. The recipe worked, the tree rooted and developed with great strength. The size of the municipal term of Piquera has changed throughout the times. There was a town named Bascones that once abandoned was included inside the term limits dependent on Piquera; the same thing happened when the town of Santuy disappeared, but this time it was shared among Piquera and two other towns. This term, included at present in San Esteban de Gormaz's town hall, still keeps its old city limits, so to regulate hunting and grazing privileges. Let's take a look at some of the natural sights included in this term. It is common knowledge that water is the origin of life. 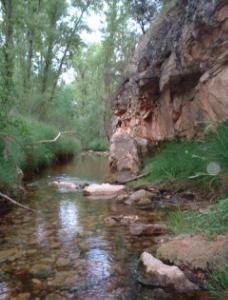 The life giving water in Piquera comes from the rio Pedro, though its water is not used for household drinking. 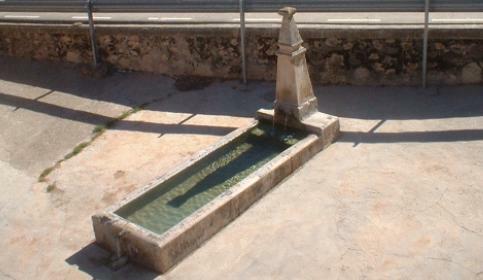 This river springs in the Sorian town of the same name and ends in the Duero after a trip of 42 kilometres. It crosses the whole territory of Piquera, south-west to north, gathering in this stretch the waters poured from the creeks of Vegamorena and El Henar. 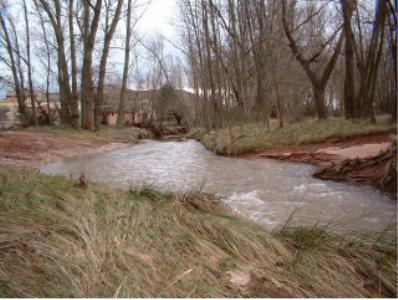 These tributaries have a course of water more regular than the river of which they are tributary, since the Pedro river has dry spells during summer time and the tributaries do not dry up, in spite of being smaller. The river had great economic impact in Piquera in past times since the water powered a mill and watered the vegetable orchards. Nowadays the mill is not used and there are few small orchards from which a minimal production is obtained for family use. It is enjoyable, especially in summer, walking along its shores, under the shade of the black poplars that flank the river; also it is possible to enjoy crawfish catching and eating afterwards. Up to quite recently the oak hills had enormous impact in the economy of any town. Oak wood served as fuel for warming homes and was used to cook food; it was fodder to the sheep in the months in which snow covered the meadows being useful valued ramón (tender shoots), and when acorns were ripe, they were gathered to feed the hogs, though sheep also like it. 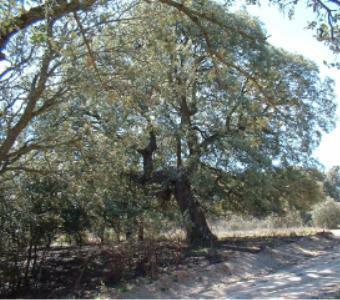 The Hill of La Roza, near the town, with some centenary oaks. From medieval times it is common ground for the use of the town's people. The Hill of Santuy. As its name points out, belonged to the town of Santuy until it was abandoned. 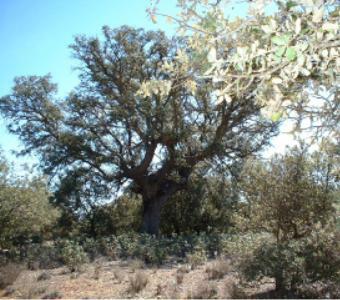 Vegetable coal was produced with the oaks in this area up to the twentieth century, that's why the oaks there aren't as old or as large as the ones in La Roza. Taking into account that agriculture was the principal economic activity of humans up to quite recently, is logical to consider the great importance of the land on which farming was developed. In Piquera, agriculture continues being the principal economic activity, and almost the only one. Wheat are barley are the main crops, though previously rye and oats were grown as well. 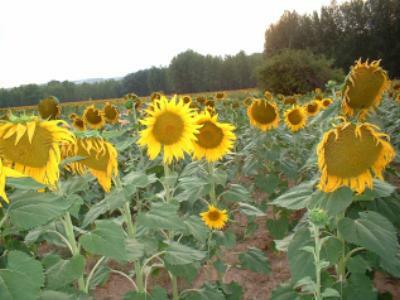 Sunflower fields have been planted in recent years for the production of oil. Cereal plants have an annual cycle, but there are other crops which produce during a good number of years, such as vineyards, which we shall look at. Development of vineyards is ancient in Piquera, as well as in the surrounding towns. 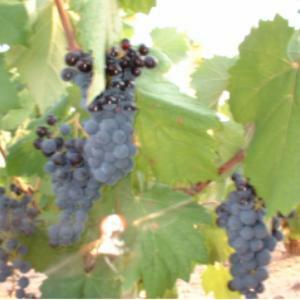 Arbitrary decisions have left Piquera out of the denomination of origin Ribera De Duero, in spite of the fact that vineyards are located in an area shared with two nearby towns, Peñalba de San Esteban and Atauta, where there are vineyards that received the denomination of origin. Because of this, the land dedicated to this crop has been cut back; nevertheless, some wines of excellent quality are produced for family drinking. There are natural meadows that grow in wetlands, from which hay is collected as fodder for farm animals when grazing isn't possible. 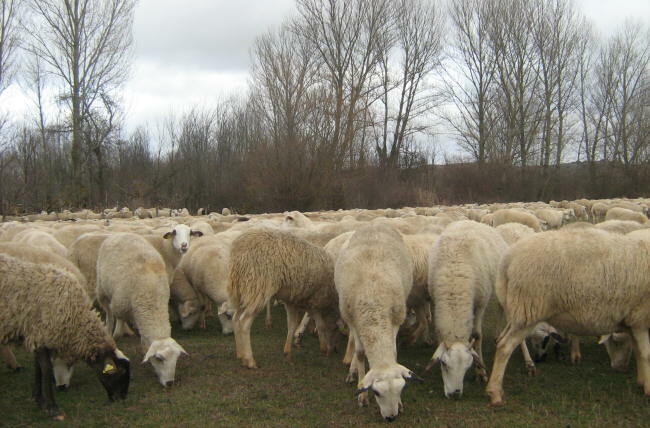 There are also areas, named baldíos, without farm crops that are used as common grazing areas for sheep, as well as farm land after the crops are gathered.